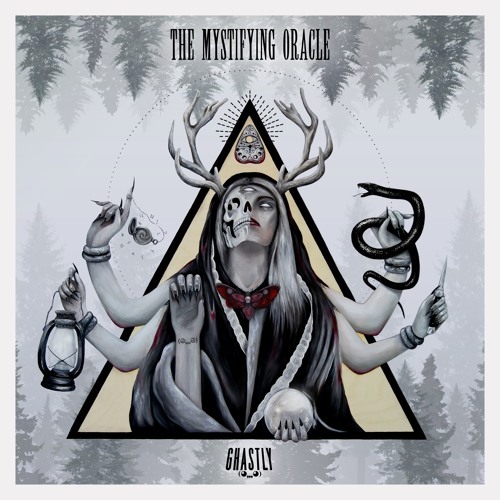 Ghastly has been the name behind some incredibly energetic bass house and future bass tunes in the past, like “I’ll Wait“, “End Of The Night” with NGHTMRE, his remix of “Lights Out” by Zomboy, “Ghosts N’ Sharks” with Jauz, “Crank It” with Mija featuring Lil Jon, and “Hawt” with Brillz. With that said, it was finally time for David Lee Crow to release his debut album titled “The Mystifying Oracle”. The 13 track album (which can be downloaded for free!) includes collaborations with Barely Alive, Sam King, Crankdat, Dr. Fresch, and Shaylen. A few of my favorites are “Black Mamba”, “Don’t Give Up”, “Geisha (The Tokyo VIP)”, “Rise Up”, and I’ll Wait”. 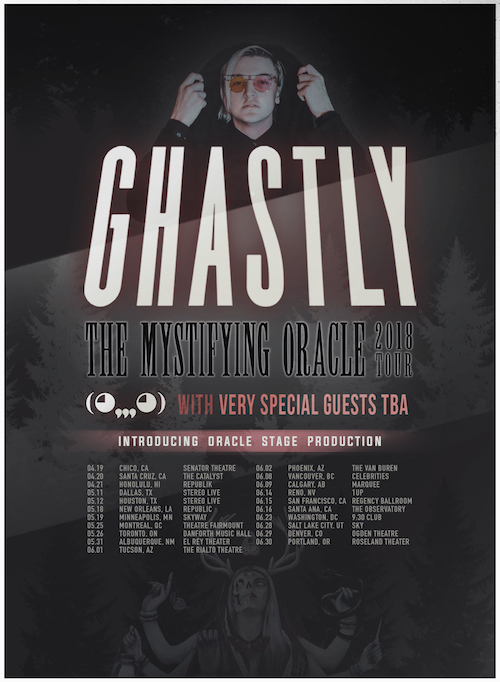 Ghastly just started his The Mystifying Oracle 2018 tour, which will see support from the likes of Breathe Carolina, Cesqeaux, RIOT TEN, Blu J, Blunts & Blondes, Kompany, Nitti Gritti, Somones Daughters, and SWAGE. Check the tour dates below and get your tickets here!